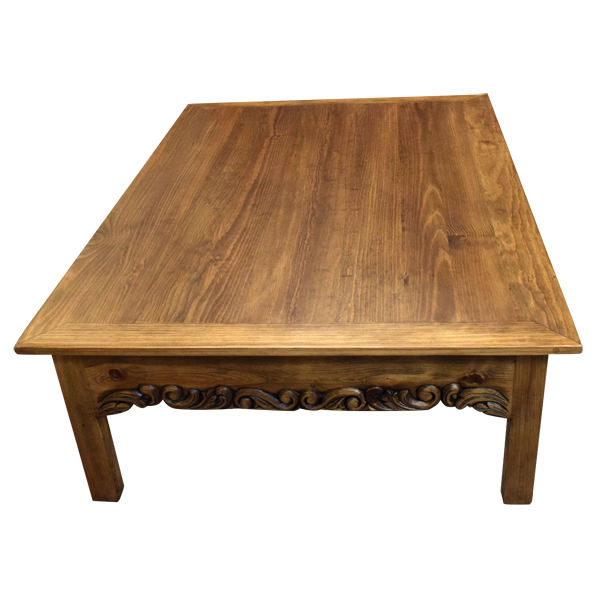 This handcrafted coffee table has a unique design that includes two additional, small tables that fit perfectly within the “mother” table. 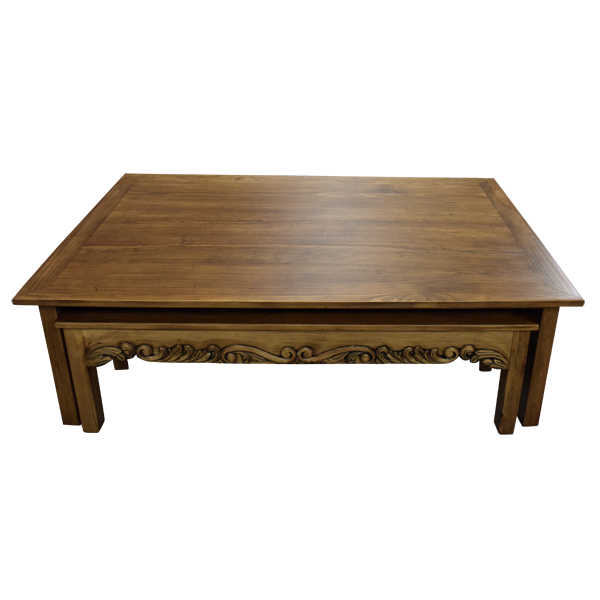 The principal coffee table has a beautifully finished, rectangular top with a classic, clean top rim. The front and side areas below the top rim are embellished with exquisite, hand carved, floral and scroll designs. 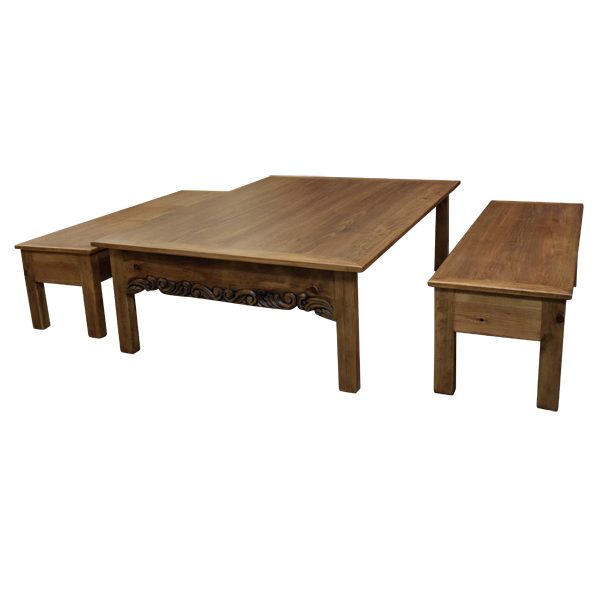 The reverse side of the coffee table is open so the two small “children” tables can easily fit within the larger coffee table. 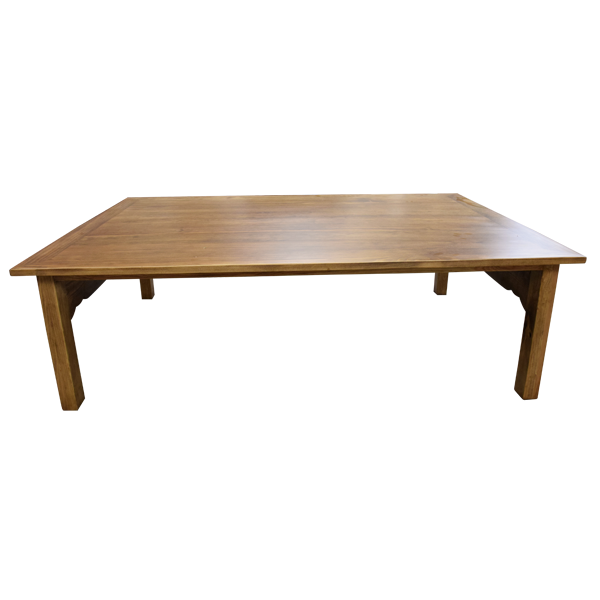 The coffee table rest on square cut legs, and it has a gorgeous, light finish. 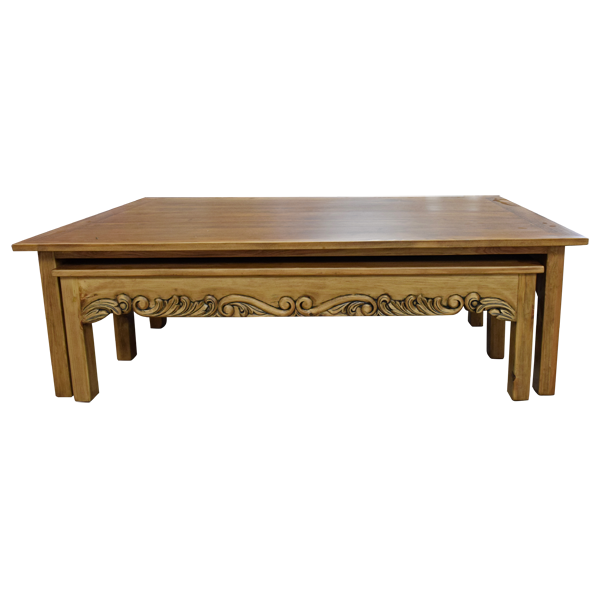 The “children” tables are made and finished in the same design as the “mother” coffee table. 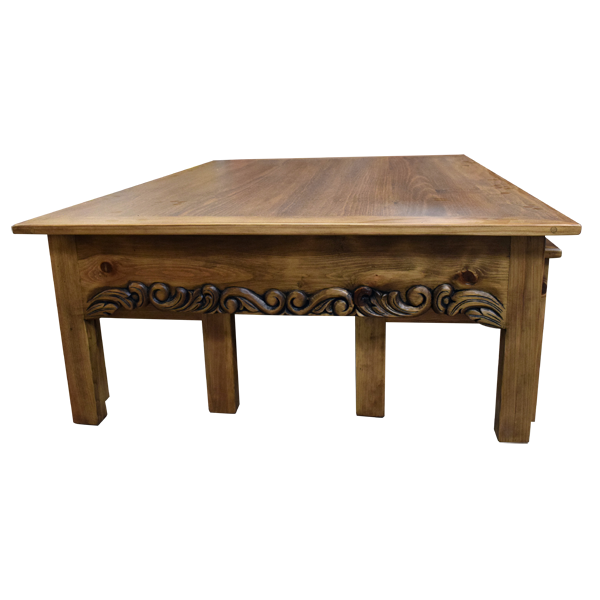 They are all made with the best, sustainable, solid wood available, and they are 100% customizable.